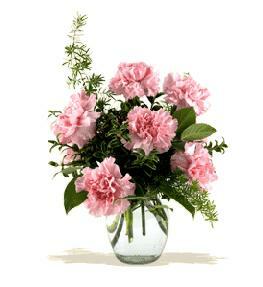 Floral designer will use another vase if this one is sold out or not available. 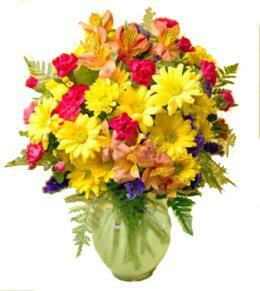 The art of affection! 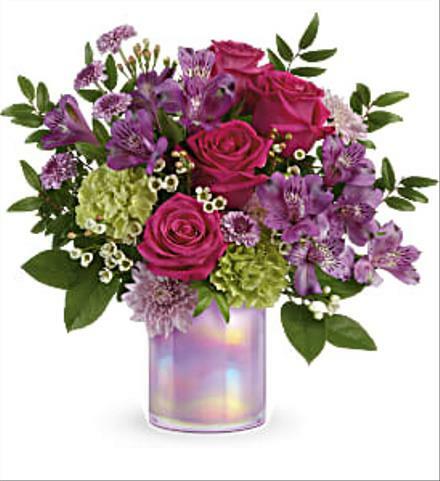 This glorious, iridescent aqua blue glass vase brings contemporary beauty to this lush lavender bouquet of roses, tulips and alstroemeria! 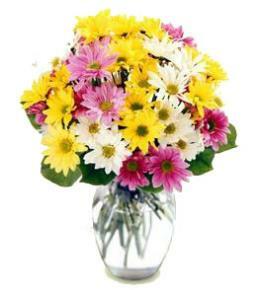 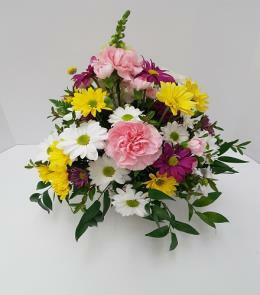 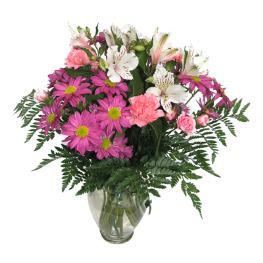 This bouquet is perfect for showing those who you love the affection of flowers. 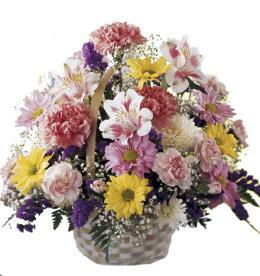 Popular Flower Arrangements - Art Glass Garden Bouquet T19E300.